1. If you are supplying your adult diapers for your loved one, you should try and help them find the product that works best for them. Many companies offer free samples if your loved one finds a particular kind to be uncomfortable, find one that will work for them. 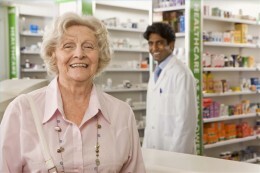 You should work with your home healthcare provider to make sure that your loved one is comfortable. Sometimes, you may have to pay more for a diaper that they like. This is very important because it allows you to make sure that your loved one will be comfortable with a very sensitive product. 2. Make sure that you and your home healthcare specialist are always very sensitive when it comes to delivering service. If you keep your adult diapers at home, make sure they are kept in a place that is not easily seen. Also, make sure that you dispose of your adult diapers in a very sensitive manner. Sometimes, your home healthcare provider will dispose of these at a third-party facility and will place them in their vehicle at the end of their shift. Another possibility is to include a separate trash or biohazard container in your home that is specifically intended to dispose of the adult diapers that your loved one uses. 3. Answer any questions that your loved one may have. They may be very uncertain about having to use incontinence products and having to wear diapers may make them question whether or not they will have to change their lifestyle. It is very important to be upfront with them about any issues that are related to their diaper-wearing experience. Some patients are able to wear diapers and maintain their regular level of activity. Some patients, on the other hand, are going to have to change their lifestyle drastically, due to their incontinence issues. 4. Make sure that your loved one’s incontinence issues are discussed in private. If you have company over to see your loved one and they are bedridden, it is important to respect their privacy by not discussing their condition. This will allow your loved one to express in confidence that they need to be changed. If you sense that your loved one needs to have their diaper changed, ask any guests or family members to leave the room. This will make it so that your loved one has the opportunity to deal with their issue in private. 5. Consult with your home healthcare provider daily. Sometimes, you may need to change your loved one’s diaper when the home healthcare specialist is not on-the-clock. If the specialist notices a change in your loved one’s incontinence patterns, you may need to change their diapers more frequently. Work with your home healthcare specialist in order to make sure that your loved one is comfortable and has everything that they need in regards to their incontinence needs. Your loved one’s incontinence condition is something that will change their life. It is not an easy transition and it is very important to remain thoughtful and kind while they are dealing with their issue. Your kindness and sensitivity, in regards to your loved one’s incontinence, will go a long ways toward making sure that your loved one is comfortable making this major transition in their life when they have to wear adult diapers.